January is almost over and it seems like everyone is scrambling lately, getting up to speed after the holidays and getting everything in gear while they’re all motivated and resolution-y. So, I’ll keep it brief, because I’m also in this camp, but I did want to touch on some things that caught my eye. Photo courtesy of Ceado, click through for more info on the grinder. In what appears to be the first major sign of the commercial manufacturers taking notice of the home-focused single dosing market, Ceado has a “new” grinder out aimed at single dosers. I put “new” in quotes because the E37S has been out for a number of years now and this largely looks like a modified version, incorporating mods home users have been performing on commercial grinders for single dosing for years, and calling it a new model. The grinder incorporates a dosing bellow to smack and push any grinds through the grinds path, a removable chute cover to knock out, a-la Kafatek Monolith, a metal dosing cup, a-la EK43 / Niche Zero, and includes an RDT sprayer and WDT tools. At it’s core, I should really be pretty pleased with this; the E37S, with 83mm flat burrs has been a well regarded performer that is extremely quiet and well built, and now you can get it ready for single dosing! They have improved the grind adjustment mechanism by switching to a (semi-bulky) worm gear adjustment with lock knob, which should be very intuitive to operate, and added a pulse button for topping off your dose. Where I am turned off about this, and I suppose many of the other single dosers, is how much extra prep work this grinder entails with all its add-ons, which appear to be more well refined home modifications than refined new design. Price point is still undisclosed, but I’m anticipating that this may provide a solid motorized option under $2,000. The original E37S was extremely quiet and fast, so this should be a more attainable Monolith alternative and/or sit in between the Niche Zero and Kafatek / Versalab M3 territory. In what has become a perennial favorite, the Flight of Fancy from Populace Coffee is currently live, and close to shipping, with a chance to win a trip to origin in Guatemala this year. Populace has been doing the Flight of Fancy for a few years now, and it’s really a pretty cool to have an interactive and connected coffee-community experience in a world that can otherwise be quite isolated and personal. Those that order this $35 package will receive four unmarked coffees and a map of eight potential origins. Participants (contestants?) then need to examine, grind, brew, cup, sip, contemplate the correct origins of each of the coffees for a chance to win the grand prize, a trip to Guatemala with Populace and Onyx’ green coffee team. There are plenty of other prizes available, and even if you don’t win, it’s still a really fun exercise to complete and learn. Purchase your ticket for the Flight of Fancy for $35 from Populace Coffee Here. Did you receive an espresso machine for Christmas or are you contemplating entering the world of espresso machines with a single-boiler dual use unit like the Gaggia Classic or Rancilio Siliva? I recently started visiting Reddit on a daily basis, and subscribed to r/espresso where there have been a number of questions regarding usage of SBDU machines like the Gaggia Classic lately, so I thought I would do a shameless plug here for one of my first postings which is a very comprehensive, step-by-step workflow guide of making drinks with the Gaggia Classic. This long time staple and common entry point into the home game has been updated and improved, incorporating some of the modifications users used to make themselves for 2019. 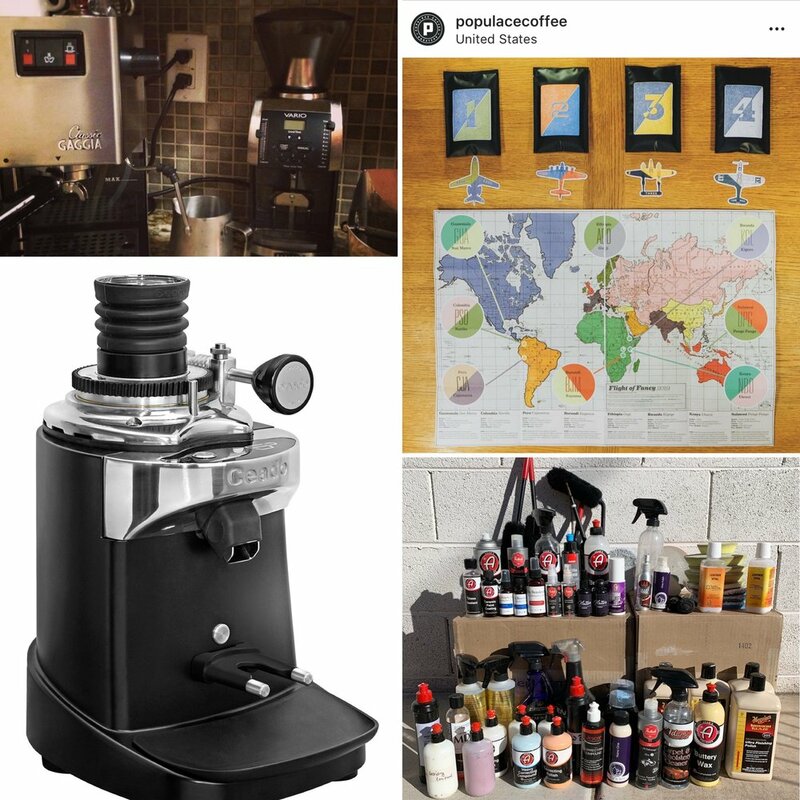 So, if you’re trying to figure out how to use your SBDU machine, are thinking of getting into the game, or are new to espresso in general, give it a read. How To / Step by step instructions for making coffee with a Gaggia Classic (or Single boiler, dual use) home espresso machine. When @detailersdomain does a giveaway they go big!! Huge thanks to Phil and crew for all this awesome product! I might have to find my cars (and time) to try all this stuff out! In a similar vein to the Flight of Fancy, Detailer’s Domain is now offering the 18th edition of their beloved Mystery Box. For $34.99, you will receive a minimum of $50 worth of auto detailing products with the chance to receive items worth hundreds of dollars. Not really geared towards those looking for specific products, but if you like a gamble and trying out new and unexpected stuff, this is a pretty fun way to do it. I recently received a Mystery Box of sorts from Detailer’s Domain; they did a giveaway on Instagram of their open bottle and test products and I received a ton of cool new stuff to try out. Some I needed, some I don’t, and some I’m looking forward to trying. Phil and crew at DD are great people, run a high quality operation, and always carry the good stuff, so I’m happy to give them a bit of a shout out here, and it’s pretty safe to say that you’re bound to get some goodies. Purchase while supplies last for $34.99 here. ** One of the difficult parts of writing posts like this, #thesubregister, and whatsCTpulling, are that sometimes things I’m using, recommend, or find sell out between the time of writing and the time the post goes live. This is one of those unfortunate times as I woke up this morning (1/30), and learned these are no sold out. Be sure to follow Detailer’s Domain on instagram or subscribe to their newsletter to get in on the next one. Click through to the Blamo! Podcast site. Because the Mystery Boxes from Detailer’s Domain sold out, and because I started to listen to this podcast this morning and enjoyed it so much, I’m including it as a last minute addition to this month’s roundup. Eric Wind is a pretty interesting guy that I first discovered through his posts in the early days of Hodinkee where he had a great weekly column called Bring A Loupe that featured interesting watches for sale of all price points, from all avenues, and also provided really great information on what made them interesting and what to look for. It is, however, Eric’s excellent article on the History of the original Heuer Carrera, that really made me follow him more closely, and ultimately end up even asking him for advice before I purchased my own. I think what makes me such an Eric Wind fanboy is his genuine interest and passion that comes across through his writing, and his overall Midwest down to earth humility and overall nice guy persona. It also helps that he happens to favor a lot of the same watches that I really love. 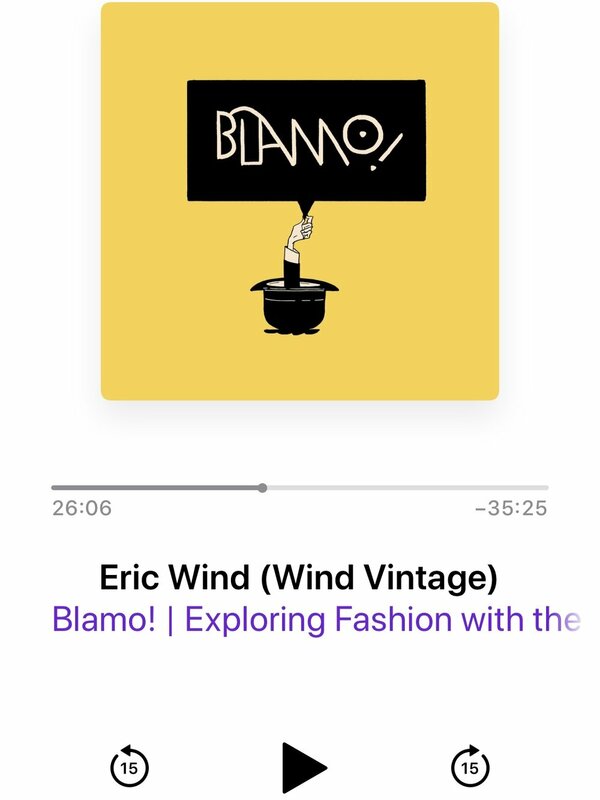 None of this is news to those that follow the watch industry closely, but what I like about this podcast so far (I’m halfway through), is that it gives some of his impressive educational background and story, and provides a glimpse as to what it takes to do what he does, which certainly appears far more glamorous from the outsider’s (instagram) perspective. Eric now has his own business, Wind Vintage, where he specializes in sourcing great watches for discerning clients. Enough oozing though, I enjoyed that this podcast host allows Eric the space to share his story, and it’s always fascinating to get an inside look at what makes these types of people tick, (bad watch pun semi-unintentional) since I’m always fascinated by how people got to where they are, especially in a case like this where Eric was on a path towards public service. Give it a listen wherever you find your podcasts or hit the link to Blamo! here. That’s it for month one of 2019. I have a post covering espresso equipment I would recommend for the common $1500 price point in the works, and have been drinking some really tasty coffees as well. Be sure to tune into instagram live on Sundays for #sprosunday live, where I pull an espresso shot live, and try and hit a different topic each week of the process and my approach. As always, thanks for reading, and if you have any suggestions, or would like to see something included, please reach out.